Why Akshaya Patra Needs Your Support? Food is everybody’s basic need. If this basic need is not made accessible, every other aspect of life becomes less important. Hunger builds a thick wall between the victim and everything else such as education, career, health and many other facets. One-third of the world’s undernourished children are from India. These children cannot study without food, and cannot earn without an education. They need to be released from this vicious cycle, and it can only be done with your help. According to the World Children’s Report 2013 prepared by UNICEF, India ranks 49th in the Under 5 mortality rate. The roots of malnutrition lie in poverty, lack of education and inequality, so these problems need to be addressed with urgency. We are a leading non-profit organisation, providing mid-day meals to combat classroom hunger in Government schools in India. 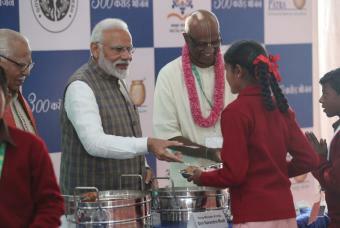 With the vision that no child shall be deprived of education because of hunger, Akshaya Patra now has kitchens set up across 33 locations in 12 states of India serving mid-day meals to over 1.6 million children every day. Our mission is to provide ‘Food for Education’ to 5 million children by 2025. But we can only do that with your help. For every donation of just Rs 950, a child is fed a healthy, tasty mid-day meal on every school day, for an entire year. 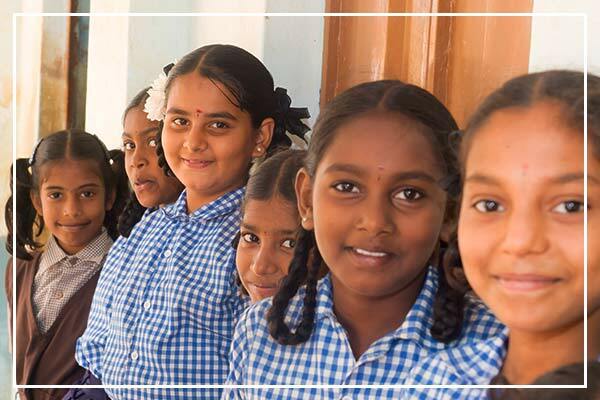 Akshaya Patra is a charitable institution and is dependent on donations received from the Government of India, corporates, online fundraising campaigns, and other well-wishers. With your help, we can reach out to many more children suffering from malnutrition across the country every day. By providing them with the mid-day meal programme, we can improve their health and provide them with an incentive to stay in school and get an education too, and hopefully make a huge difference in the future of this country. Akshaya Patra spends your hard earned money in a careful, judicious manner. According to our last financials, for the year 2012-13, 82 per cent of Akshaya Patra’s expenditure went towards the Programme Cost, 14 per cent on the Programme Management Cost, 4 per cent on Fundraising Costs, and 10 per cent on Other Programme Costs. A donation of just Rs 950 from you will go toward feeding one child of the Mid-Day Meal Programme for an entire year. You could join us in this quest to make a difference to the lives of the children. Our team will be thrilled to hear from you, to guide you with any clarifications you need, and to assist you in any other way we can. Thank you for your support and we hope to hear from you soon!